The Community News section of the Sawtry Eye is available for download from this page as soon as the hard copies are delivered. Please remember to come back regularly to read the latest issue. 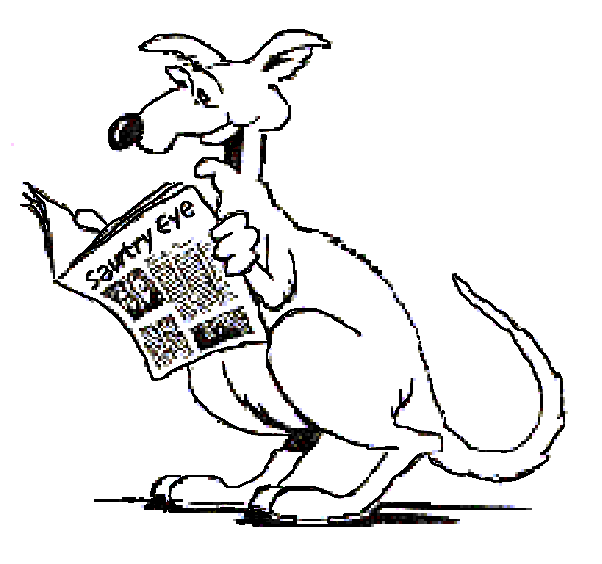 The most recent editions of Sawtry Eye can be downloaded directly from this page, using the links below. Follow the archive link (below right) to find older issues. To keep a copy of the PDF file for later viewing, first open the document by clicking on the link above. This will open a new window and, once the document has finished downloading (so that all pages are viewable), select 'Save' or 'Save as' from the File menu. These documents can be quite large, so please think of the environment before printing the whole thing - the Print dialog should provide an option to print just those pages that you really need. Sawtry Eye is published by CARESCO as a service to the village of Sawtry and the surrounding villages, relying on the help of volunteers to get the magazine collated and stapled then a dedicated team of distributors make sure that it is delivered to every door in the circulation area. Please get in touch if you would like to get involved, or click here to find out more about how you can help support the work of CARESCO.